Like any part of your home, your carpeting changes with age. Years of moving furniture, pets, carpet cleaning and a slew of other activities can make it a lesser version of itself – full of bumps, waves, folds and wrinkles. Unfortunately, those signs of wear and tear aren’t just unsightly; they’re also dangerous. Bumps and waves in your carpet pose a great hazard to your family. They can trip you, your children and your guests, and they can put you at real risk for injury if they’re not addressed. So what are your options? Do you cough up thousands of dollars to have the floor replaced? Do you cover it with a rug and hope the problem disappears? Luckily, with our White Rock carpet stretching services, those aren’t your only options. 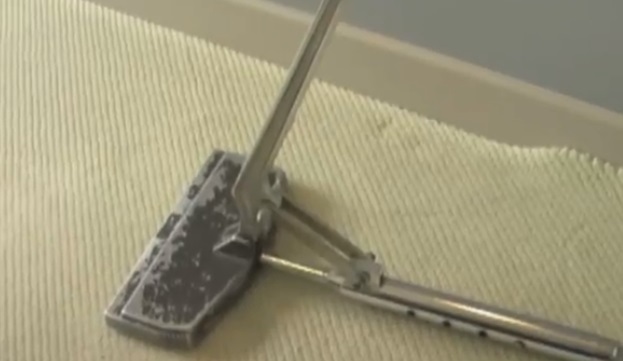 Carpet re-stretching is a simple and affordable process that can realign and straighten your carpet in minutes. There are no replacements or patches required, and it makes bumps, waves, wrinkles and folds an absolute thing of the past. But carpet stretching does more than just fix surface-level problems. It can also prevent damage to the carpet fibers within, which can extend the life of your floor and save you thousands and thousands of dollars over time. If you see obvious bumps and waves in your carpet, then you’re definitely a candidate for our White Rock carpet stretching services. But sometimes, carpet problems aren’t as obvious. Carpet stretching is also a great idea if you’re selling your property, as it can help restore the floor’s original luster and sheen. This is a must if you want to impress buyers or investors. Tired of tripping over bumps and folds in your own home? Let our White Rock carpet stretching experts help. Call us today to learn more.